Would you like to become a beekeeper but not sure whether the hobby would suit you? 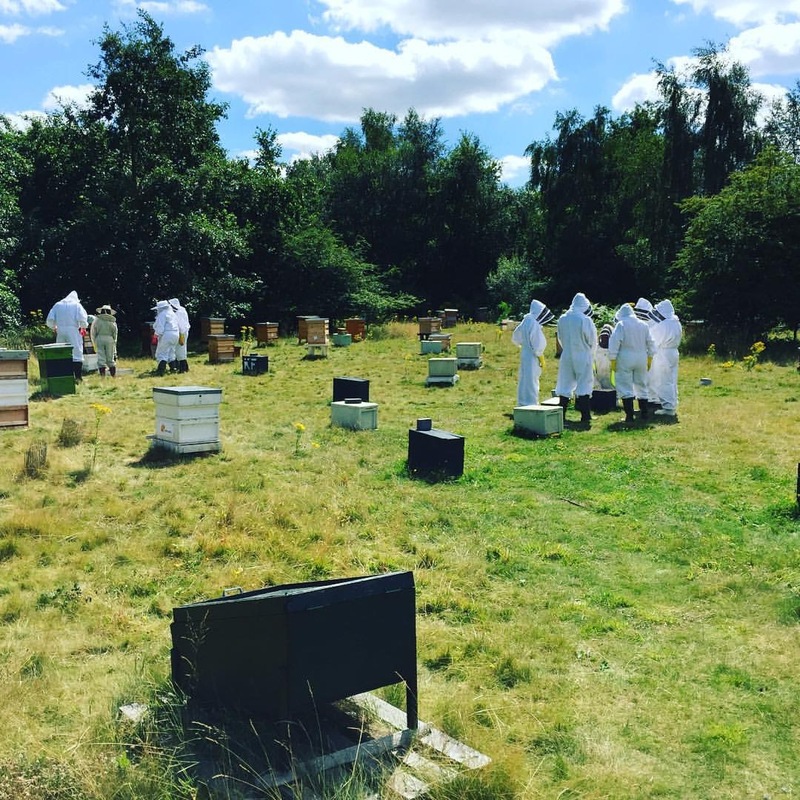 Find out about the Bees: 30 minute sessions on opening hives and manipulating bees for those wishing to gain some ‘hands on’ experience on Saturday by prior appointment (surreybees@outlook.com). All equipment and bee suits are provided. You MUST bring your own wellington boots to protect your ankles and feet. Please come and join us; this is a great opportunity to meet the bees, our team and local beekeepers. For more information and an idea of the content for the day, visit Bees and Beyond, the blogger of this site visited last year, and provides a really good insight into the session. You must bring own wellington boots to wear to protect ankles (trainers will NOT suffice). Meet the Bees is by confirmation of booking only. Do you have an allergic reaction to bee stings or use an Epipen? If you carry an epipen then you must bring with you to session and let the tutor know. One of our trainers will contact you to arrange a convenient time/date with you. Cost £30 (this is refunded from new beekeeper course should you sign up).